Fun Farmhouse Chairs - Brushed Design Co. I recently built a Farmhouse Table for my dining room and I wanted to have something unique for the chairs. For the past year I have been collecting chairs from garage sales, thrift stores, and even the side of the road! 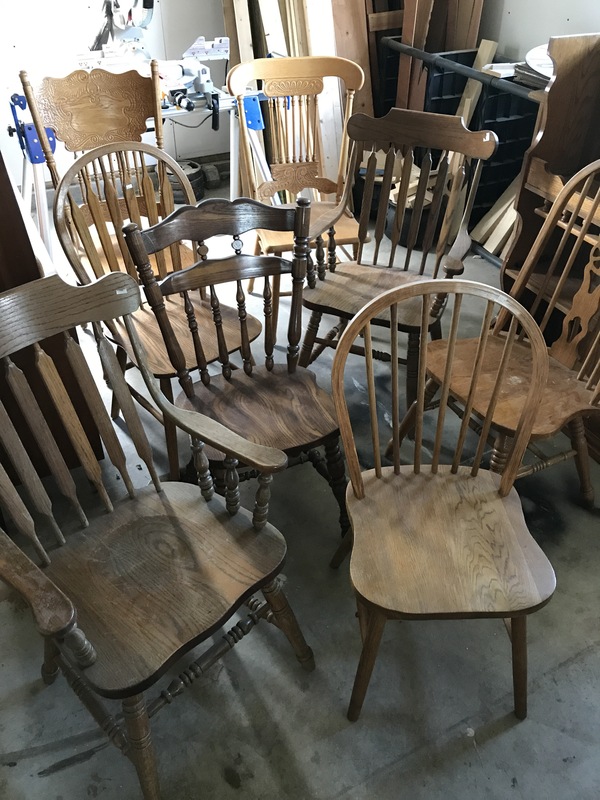 I found eight solid wood dining chairs and gave them them a fun farmhouse chair makeover! 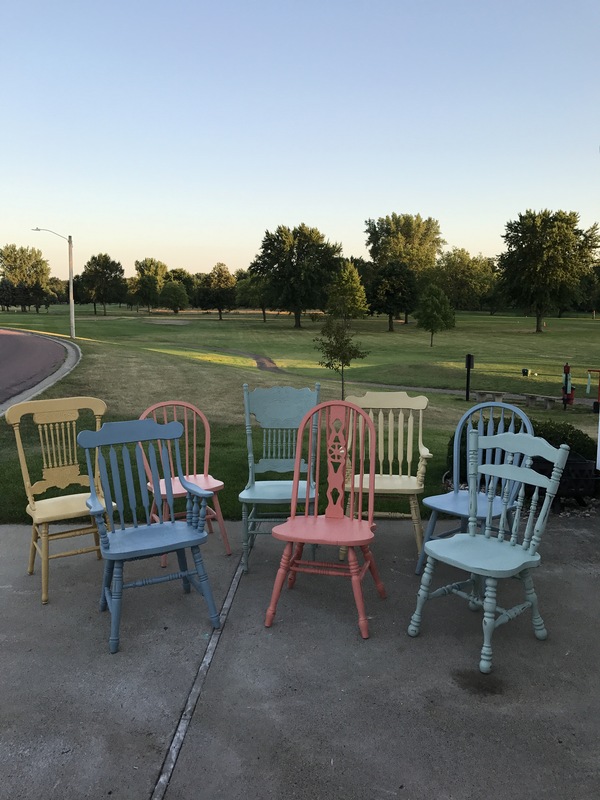 I used Fusion Mineral Paint’s Prairie Sunset, Brook, Champness, and Coral for these chairs. For four of the chairs, I mixed in Limestone to create a slightly lighter version of the original colors. 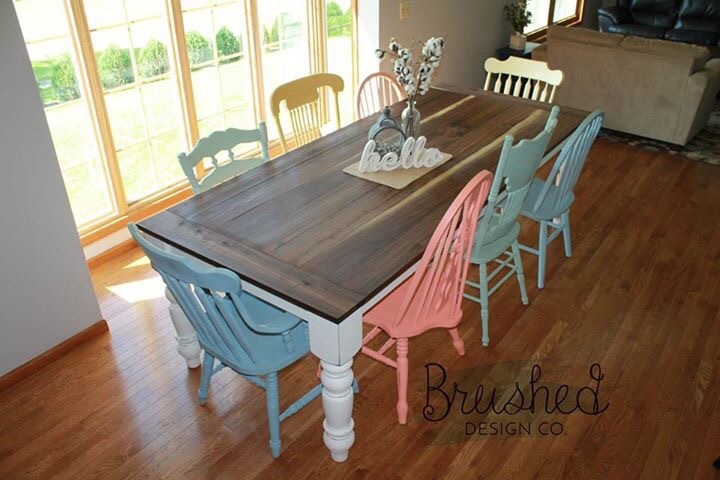 I finished off the design by distressing the chairs to match the rustic farmhouse style of the table.